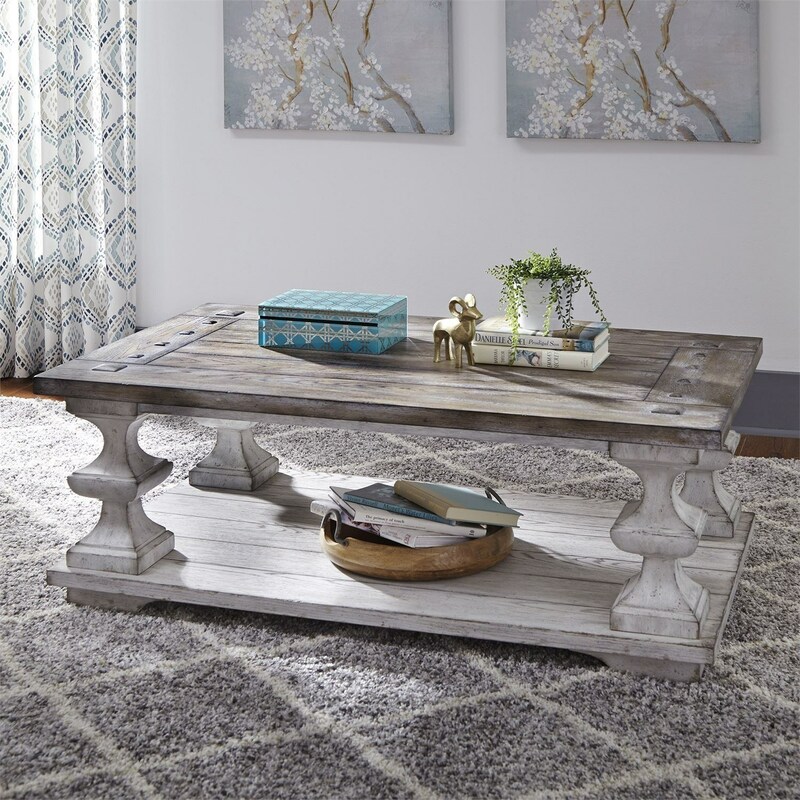 Infuse an old world feel into your home with this traditional cocktail table. Hardwood solids and oak veneers feature a heavily distressed finish to add a rustic appeal. 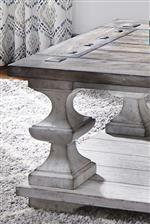 Heavy, Spanish influenced turned legs support planked tops and attach a base shelf. Square peg accents complete the classic design and will keep you interested for years to come. The Sedona Traditional Cocktail Table by Liberty Furniture at Miskelly Furniture in the Jackson, Pearl, Madison, Ridgeland, Flowood Mississippi area. Product availability may vary. Contact us for the most current availability on this product. The Sedona collection is a great option if you are looking for Traditional furniture in the Jackson, Pearl, Madison, Ridgeland, Flowood Mississippi area.